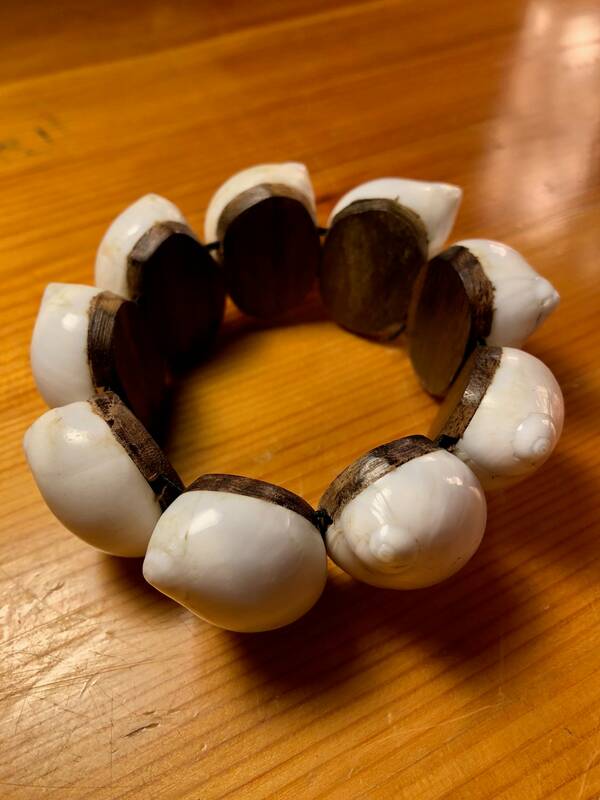 A simple, elegant and versatile complement to your wardrobe. 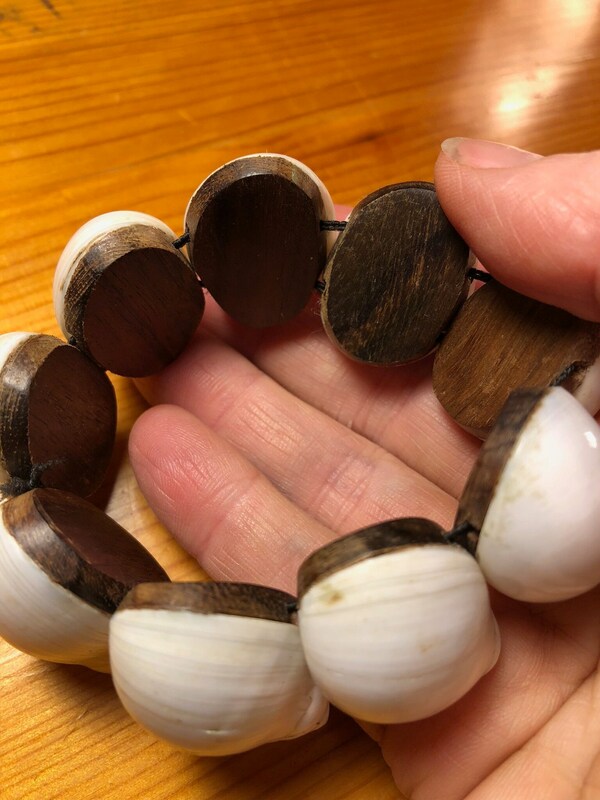 This bracelet was hand crafted by an Indonesian artisan with Sono wood, also known as Black Rosewood, and white sea shells. It has a nice weight to it but is still very comfortable. 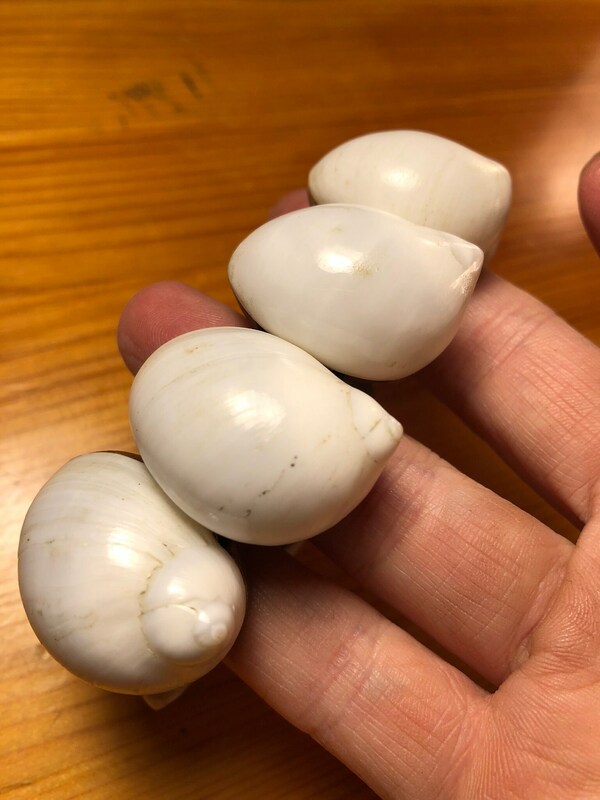 Shells measure approximately 1.25" across.